Snapchat has introduced Snap Map, its latest feature with some people very excited about it but others, such as parents, worried about how it will impact the privacy of their children. This new features allows users to see where all their friends are, but Snapchat points out that users are able to turn the Snap Map off so no one knows their location. The company also pointed out that users are able to limit the new feature so only friends know their location. One online analyst said the most important thing was that parents were aware that the new feature existed and that they should speak with their children each time there are new technology advances and when new features are added by apps such as Snap Map. The analyst said he thought parents would like this new feature if their children us it properly, and if it is restricted to only friends. For younger children, there is not much of a reason for them to use it added the analyst. There are many positives to the new feature, said an online technology analyst, you can see where people are hanging out which could be helpful if you do not know the area well or if you were looking for a place to go. Parents are worried that the location device is enabled automatically but that is not the case. Location sharing with your friends on Snapchat is by default turned off and optional. The user can opt in and until they consent then nothing happens. The first time Snapchat is opened the app takes you through a selection process where you can decide who to share you location with on Snap Map. A spokesperson for Snapchat said that user can choose each person they want their location to be shared with, or none at all, and can change those settings as many times or as often as they choose to. The location of a Snapchat user cannot be shared with another user who is not your friend already on the app and most of the interactions on Snapchat are amongst close friends. 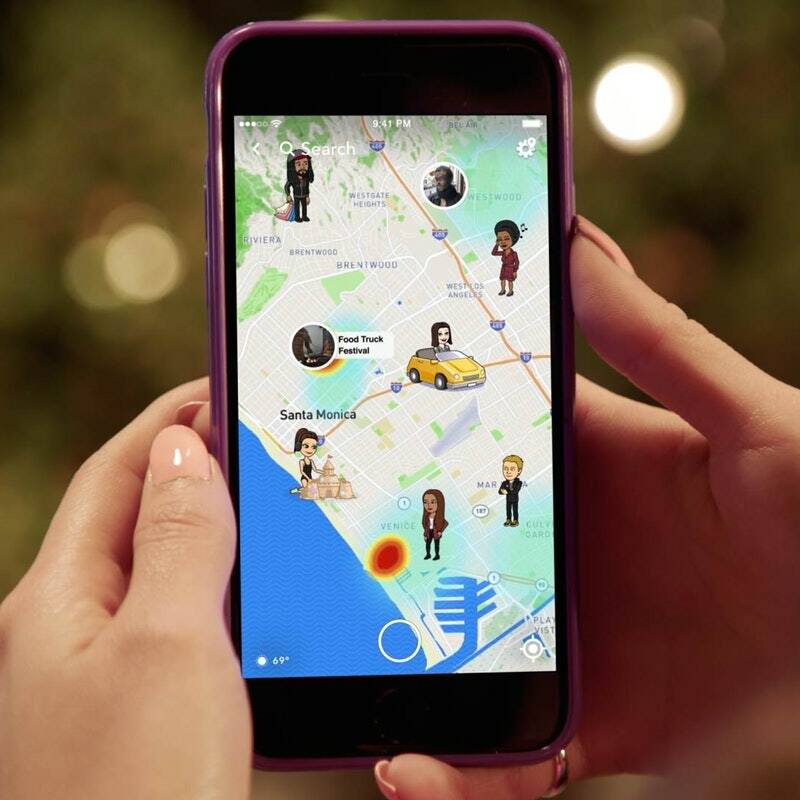 The Snapchat spokesperson added that the safety of the Snapchat community is of upmost importance to the company and it wants to be sure that all parents, educators and Snapchatters receive accurate information related to how the new feature Snap Map works.